sir i got 299888 AIQ rank. i belong to ST cat, and my cat rank is 8314. do i have any chances in getting seat any where in india.i didnt get rank in 1st and 2nd round. This is not fair on the part of dmer. Keeping silent creates unnecessary suspicions in the minds of students & parents. Dmer should explain the reason for late. Keeping silent by dmer is making mockery of students. Don'the take students for granted. Whatever may be the reason, it should be shared with the students. Being honest means being transparent. 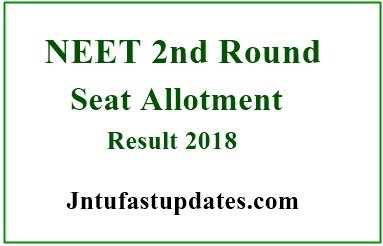 You have no comments about second list round pls suggest this is a very very unresponsable …..
where is the result of 2nd round seat allotment????? Ihave taken admission in BSC l .and submited original documents in college. If I select for admission in MBBS in any round .I cant submit original documents at the time of admission .can i show bonafied certificate of admited college and after cancelation of bsc admision I can submit original documents. Guide me . When do the ISMH option entry begins?????? And where's the 2nd round allotment… Y u ppl r making us to wait soo long? All india 2 nd round counseling is over or not…??? What happen to second round counselling govt has fooled the students without conducting second round colleges are selling the mbbs and BDS seat for this why should the cbseneet conduct exam instead sell all the seats to people who offered your playing with the students life how many students are waiting for second round counselling when there is no seats availability why should you register the candidates for second counselling and creative a aspiration for the students this very bad on the part on cbseneet. My AIR is 231515, can i expect seat in deemed university. My AIR is 231515 and I belongs to can i expect seat in deemed university.